Come, tame a wolf, flee from the wrath of the king, feel the horror of impending doom on a ship, and the uncertainty of one’s own salvation with these great heroes of the faith. Would You Do what they Did? 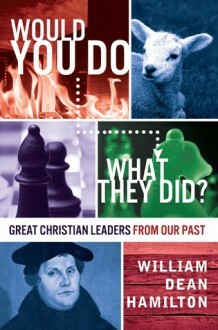 Great Christian Leaders from our Past is a creative nonfiction collection of biographies of Martin Luther, Francis of Assisi, John Wesley, the founder of the Methodist Church, and Thomas Becket.